A few things found in the garden one recent morning. A hint of crispness in the air and sunsets arriving increasingly early are some of the things that have been on my mind, and to be honest, filling me with panic. 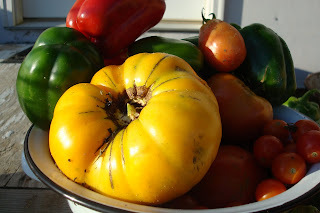 I dread the loss of sunlight and the chill in the air, and yet, it is exactly why we garden and preserve food, so that it will last through the cold, dark months. But for now, there is still plenty of summer to still be found in warm afternoons, barbecued meals, and flowering blossoms, and I intend to soak in every available minute of it. It is gratifying to see the shelves fill up with jars, the freezer packed, and the fruits of our labor. I can remember my mom making jelly rolls when I was young girl. She often made chocolate ones with ice cream inside. It always seemed like such a big production, what with all the wax paper and rolling and unrolling an re-rolling. 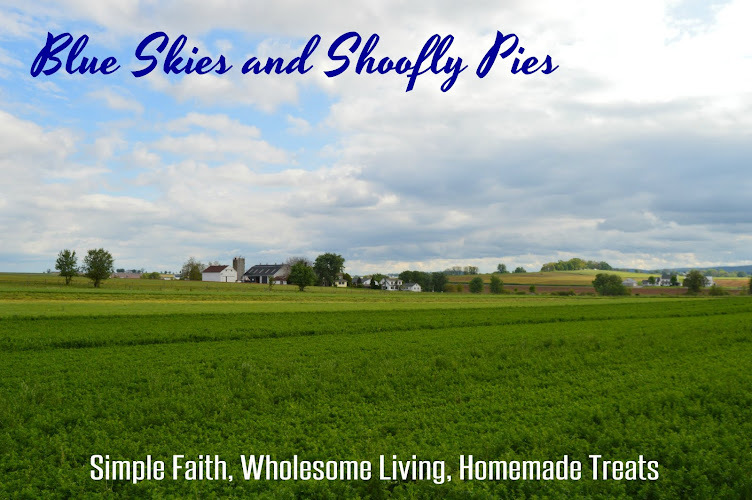 Now, with my own cupboards becoming increasingly stocked with jams and jellies and preserves of all sorts, it seemed like the perfect time to make one. I used a recipe from Country Extra as my guide. It was noted to be "prize-winning" and turned out delicious. Start with two large bowls. 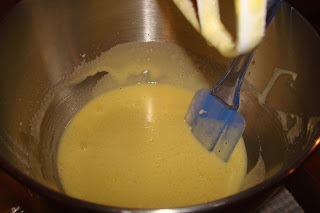 Place egg whites in one large bowl; let stand at room temperature for 30 minutes. Line a greased 15-in. x 10-in. x 1-in. 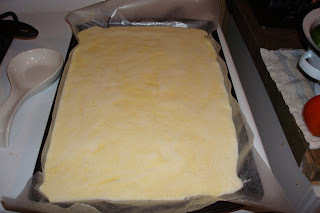 baking pan with waxed paper; grease the paper and set aside. 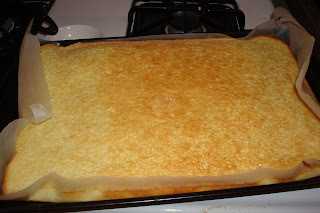 Unroll cake; spread evenly with jelly. Roll up; dust with confectioners' sugar. Yield: 8-10 servings. Beth, you kill me! Believe me, I want to visit someone who has finished drywall and level flooring. 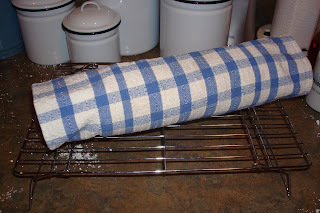 But anyway, you roll it up in the towel while it is still warm to give it "memory" so once you put the jelly on it and roll it, it will retain its shape. Otherwise, it might just unroll on you! 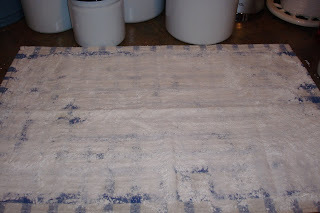 You are braver than me- I saw a pattern recently for making a braided rug and thought, there is no way I could learn this just by looking at the pattern! So I had to cough up $$$ for a class. 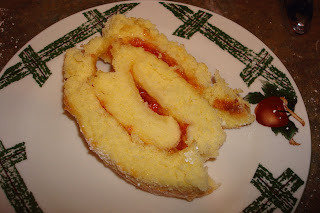 This post brings back memories of Mom making Jelly Roll cakes.